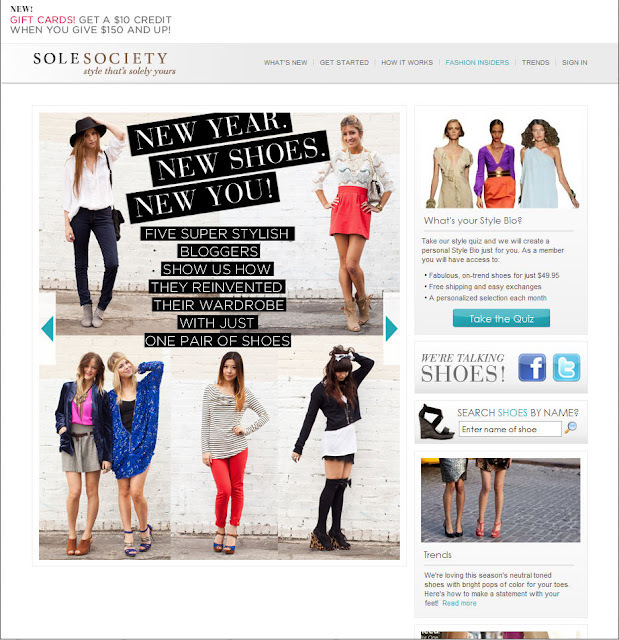 Fabulous New Year News-Sole Society Fashion Insider and Another Giveaway! I hope everyone had a fun and memorable holiday season! For the past two weeks, my life consisted of partying, eating, and hibernating. Needless to say, I'm very much well-rested and ready to gear up for another productive and fabulous year. This year, I'm going to play hard and work HARDER as my 2012 goals are now set in stone and I'm determined to reach all of them. Three days into 2012 and I already have some very exciting news to share! I am a Sole Society fashion insider and am featured on their website under both their Fashion Insider and Trends pages! 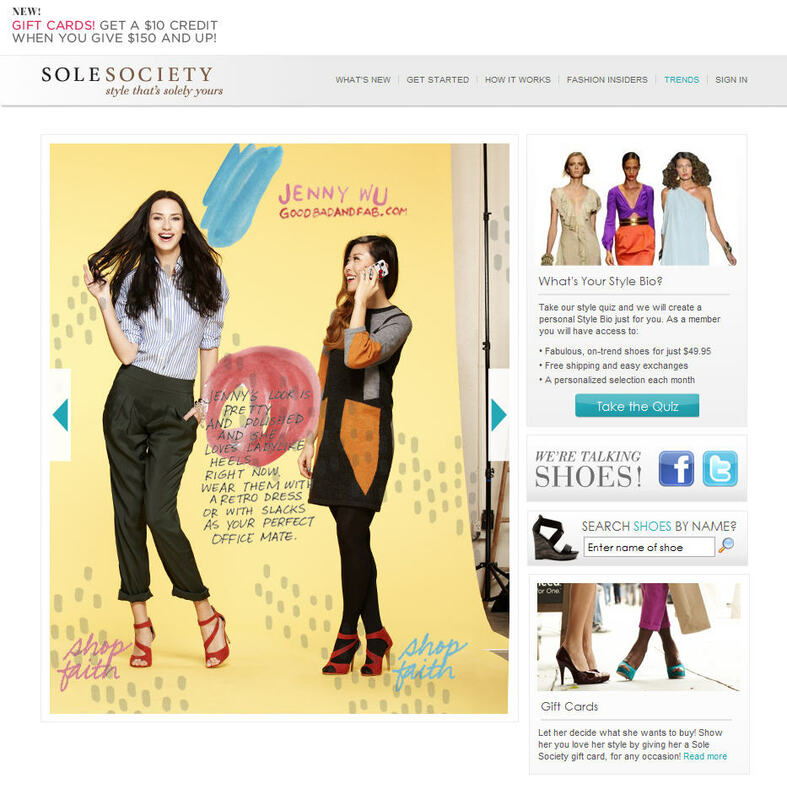 A few weeks ago, I did two separate photo shoots with Sole Society. In the first shoot, I styled and modeled the fabulous color blocking Abigail sandals, creating four vastly different and colorful looks with one shoe. In the second shoot, I was paired with a model to create a fun and polished look for Faith, the bordeaux red sandals that are super fun to wear. Here are the finished pages! A few more fashion projects are already simmering in the wings so stay tuned! I have a feeling 2012 will be major! To celebrate this amazing opportunity, I'm giving away the fabulous Amour Vert Aurelie top worn in my photo shoot! Amour Vert is a eco-friendly boutique that carries super cute apparel made from all natural and organic materials. I love it when fashion is practicable, sustainable and green. On top of the giveaway, Amour Vert is providing a 15% discount for my readers. Just enter GBFAB15 during checkout. 2. Leave a comment at the end of this post. Don't forget to include your email address! 4. 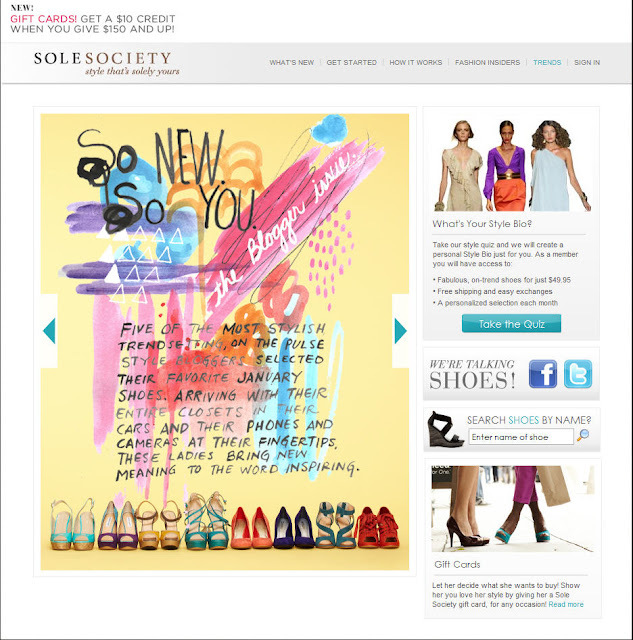 Giveaway ends January 14, 2012 at 11:59 PST. Winner will be contacted via email. Hello there sweetie! Lovely giveaway! I'm in! I've been your GFC follower since a long time, check me at the end of your followers list because my profile picture doesn't appear (it has problems) my name is Kiki Janku! I liked the Fascebook page with an account named Robert M Slitz! I also subscribe to the page! Wish me luck! Hope to hear from you! Congrats!!!! You go girl, you deserve it. Those ads with you FAB! I am following you via RSS and GFC as Monique. I am loving you on FB as Monique Jones. I subscribed to Amour Vert's email list as Moniquehasana at hotmail dot com. Yay! Love that top! Following you and the rest. After completing all of the above, I would just like to say that I'm loving your blog, and I'm ever so thankful to have come across it! Your posts are truly inspiring me, and making me want to learn more about my own personal style and to better express my true self image. Thank you for this opportunity and for helping me grown my love for self expression. Those shoes are so fab specially the wedges! I wish you also give away some michele watches because these outfits would be perfect with feminine classy timepieces.